Conjurer & Teller-of-Tales Walt Anthony, entertains with wit, exuberance, and an elegant style. 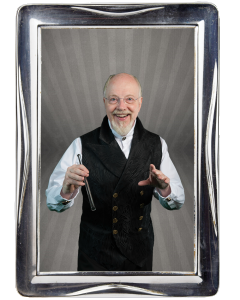 He is a dynamic performer with over thirty-years of practical experience in theatre, magic and variety entertainment. Walt has a consummate acting and directing background and expertise in communications and corporate training. For two decades Mr. Anthony has been engaged by Fortune 500 companies to present motivational magic nationwide. 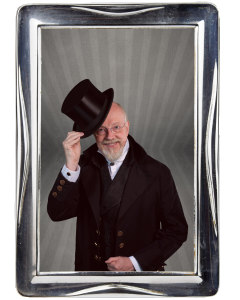 Mr. Anthony enjoyed an acclaimed two-year run performing at his San Francisco Magic Parlor in the one hundred year old Chancellor Hotel Union Square. He has been a featured performer on Chicago’s WGN-TV, New Orleans WUPL-TV, and San Francisco’s KOFY-TV. Walt has coached and lectured to magicians here and throughout Europe. He was one of two magicians authorized by to recreate original magic from the first three Harry Potter books for school and library shows. Walt has entertained in shows with Carol Channing & Friends to raise awareness for Arts Education in schools. Walt Anthony has thrived as a successful corporate manager, business owner, and entrepreneur with a focus on speaking, training, and consulting. He is uniquely positioned to impart your unique message to your event attendees. Mr. Anthony is a qualified facilitator of the “The Leadership Challenge Workshop”® Based upon Jim Kouzes and Barry Posner’s New York Times Bestseller “The Leadership Challenge”® backed by 25 years of solid statistical research.